are included in 2010 and 2013 Project Server versions. Microsoft Project Server 2010 includes powerful project portfolio management tools that give executives, resource managers, and project managers a bird’s-eye view of projects so that they can spot redundancies, allocate resources appropriately, and keep close checks on progress. MS Project Server 2010 improves vastly over the 2007 version by making project portfolio management (PPM) and detailed project management functions to be performed seamlessly through a common data model and a user-friendly interface based on SharePoint 2010. These improvements result in wider adoption of portfolio management practice within organizations. The good news is that this powerful PPM tool is available online through Apps4Rent for an inexpensive monthly price. The Microsoft PPM software includes the ability to manage the entire portfolio of a business or a project right from business alignment, budget management, resource management, customers management, resource planning, capacity planning, and more. Project Server 2010 is now the premium Project and Portfolio Management Software used by high-level executives, managers, team members from across industries. This PPM software is built on one of the best collaborative platforms, i.e., SharePoint 2010. Thus, it offers the benefits of the two most powerful tools in one single console—collaborative services and organized execution capabilities—providing a flexible work management solution. Assigning the right activities to the right resources at the right time is what we mean by alignment and it is the crucial goal of business governance. Business strategy, operative structure, implementation process, and technical expertise are all tested when alignments are done. Consequently, a systematic approach to collect, select, plan, and manage them is key to a high-quality IT Governance process. This is what the project portfolio management software offer. PPM helps you categorize portfolios that align with your business strategy and maximize ROI. It helps you to optimize the selection process, thus ensuring that you identify your long-term gains rather than compromising on short-term gains. With project portfolio management tools, you can predict the resource demand based on role and department, you can create monthly and weekly demand, create as many demand profiles based on different status, update daily expense rates, and more. You can plan your expenditure, input monthly or weekly expenditure, create various expenditure predictions, analyze planned expenditure with actual expenditure. With project portfolio management software, you can track all your project deliverables, goals, and milestones. You can view notifications, centrally manage your projects, view status and timelines, export deliverable to Microsoft Excel, and do much more. Microsoft project portfolio management system generates Gantt Charts and Critical Path Analysis which helps you with planning and scheduling of projects. Tasks which need to be accomplished are lined up one after another which makes it easy to recognize tasks which can be postponed if the project falls behind schedule. The project portfolio management tool allows you to consolidate vital information for all business and IT investments in a central repository. Being a collaborative platform, the project portfolio management tool offers real-time visibility into the portfolios’ and projects’ status, thus assuring top level executives such that the business results are accomplished. Project portfolio management tools help senior management executives to track actual project spend, and forecast impending project spend to ensure a project is functioning within its fiscal constraints. It also helps track the overall portfolio performance. As the PPM is built on Microsoft SharePoint Server 2010, it offers all the necessary tools required for appropriate business intelligence, such as PerformancePoint Services, Excel Services, PowerPivot for Excel, Visio Services, SQL Reporting Services, and more. This Portfolio Management tool offers you an intuitive dashboard and report structure which can be customized, thus providing you the right information to make right decisions at the right time. For large companies, this is normally an elaborate procedure which includes resource shuffling to meet the demands of project priorities and project delivery schedules. Now with the project portfolio management software, portfolio managers can manage resources such as people, money, time, effectively. Capacity Planning is an incessant process of gauging a company’s performance and resources to regulate its capacity for production of work. Microsoft project portfolio management tools allow you to carry out proactive capacity planning thus maximizing your resource utilization. 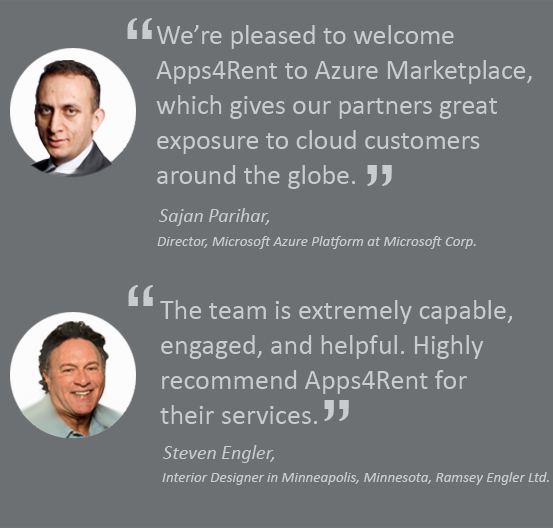 Get Hosted Project Portfolio Management Software from Apps4Rent! Hosted Project Server 2010, with its Project Portfolio Management tools, is readily available from Apps4Rent, at a cost-effective rate starting from $125 per month for 3 users. Unlimited transfer, no set up fee, month-to-month billing, turnkey solution, round-the-clock support, data security, and excellent service and support are some of the features that make us the leading project and portfolio management tool provider in the market.